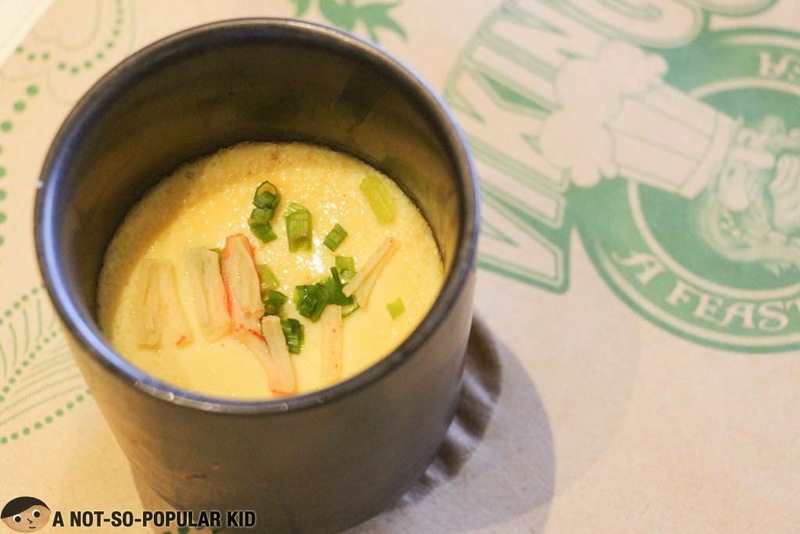 Vikings is indeed fast expanding with the rise of its latest branch in SM BF Parañaque. 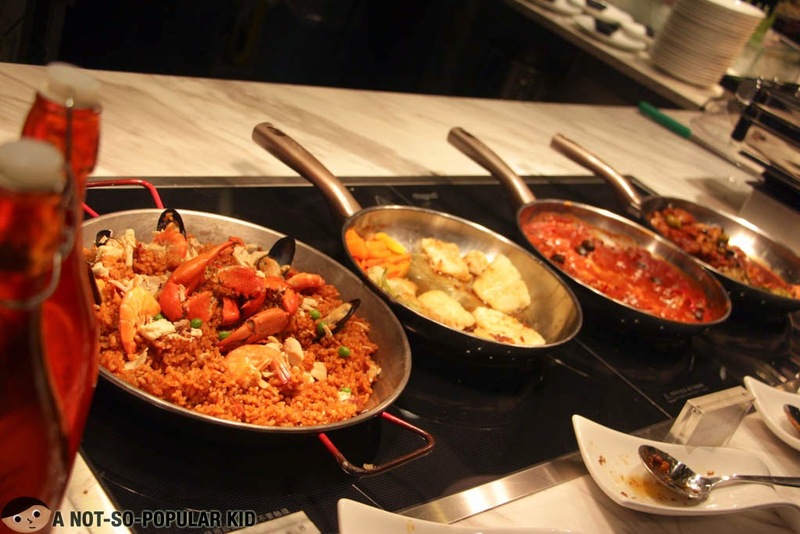 Over the years, I witnessed how people's hearts were captured by the affordable yet quality buffet of Vikings, and the great thing is, Vikings was able to effectively maintain the bond formed with its foodie friends across that duration. I'm guessing this is because Vikings always offers us creative surprises and innovations such as the Birthday Promo and Kiddie-Themed Sundays to name a few. Being a lover of buffet, I was able to give a visit to 5 branches of Vikings already. My very first one was in SM Megamall, followed by SM North Edsa, SM Aura (in the form of Niu by Vikings), SM Jazz Mall and the latest in SM BF Paranaque. In each of these branches, there is always something unique be it in terms of the ambiance and/or the variety. Here, let me share with you a few of my observations regarding the things particularly special to a branch. Vikings SM Jazz Mall - modern Venetian interior with incredible wall paintings/designs; also, you'll find here the Spicy Tuna Tartare and homemade ice cream! The buffet highlights for Vikings SM BF will now be highlighted in this post. 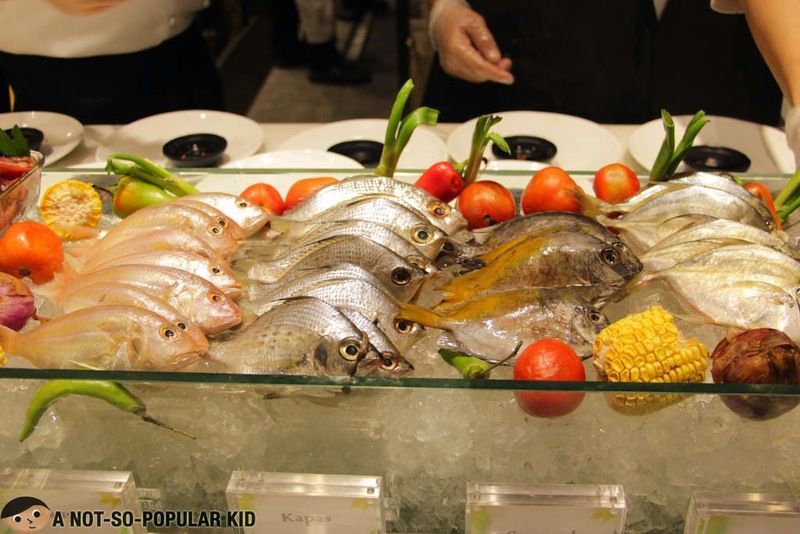 However, before we dive in the highlights, let me share with you a little more about some parts of the buffet here in SM BF Parañaque. 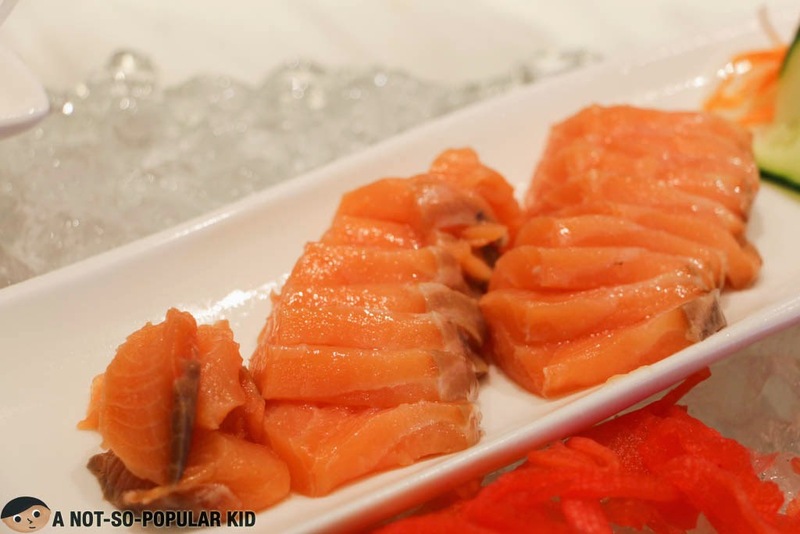 Generally, across all the Vikings branch, the sushi, rolls, maki and sashimi section is always top-notch! 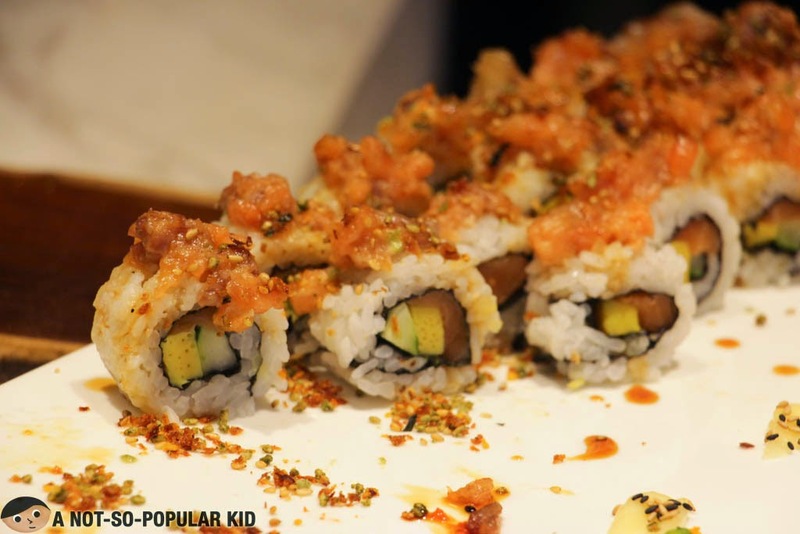 And with its wide range of options, such as those found in the sushi boat, you'll really get your cravings fixed here! Each time I got to Vikings buffet, this is the first stop I go to. 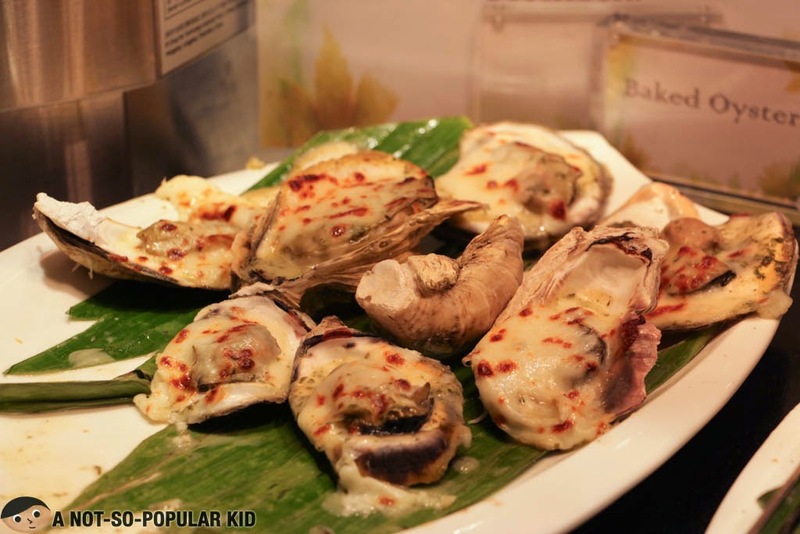 Another thing that I always eye out for is the seafood section, most particularly the baked oysters. I just find them highly enjoyable. 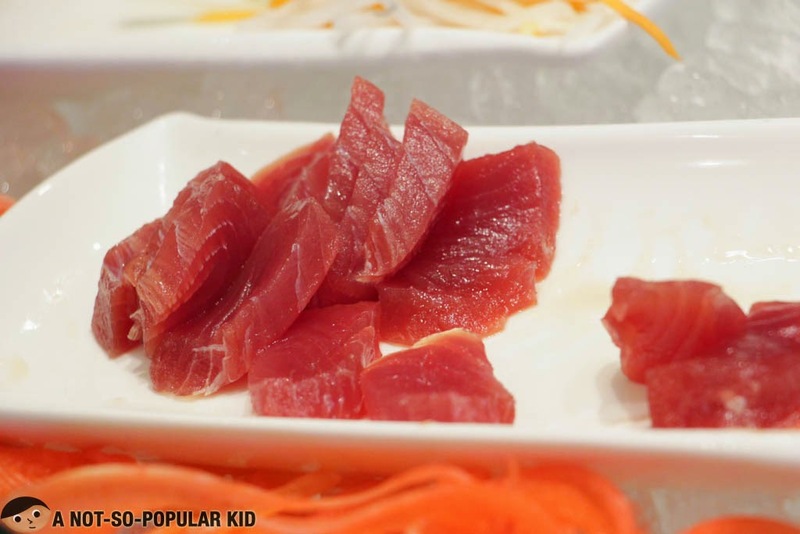 However, let me remind you once more that you should not eat these fresh treasures of the sea with an empty stomach. I've always been a huge fan of Vikings because of its create-your-own sections (i.e. pasta, pizza, mongolian and etc. 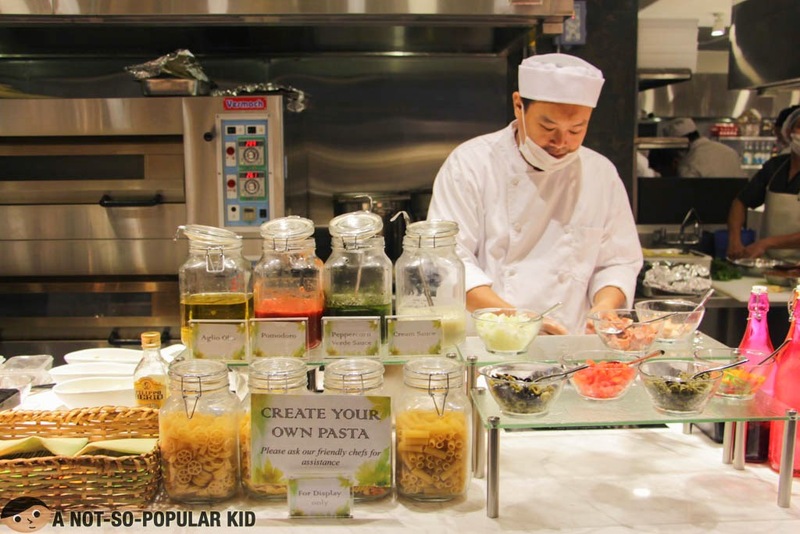 ), and often times, I always look forward to have my own pasta cooked because they do it really great! 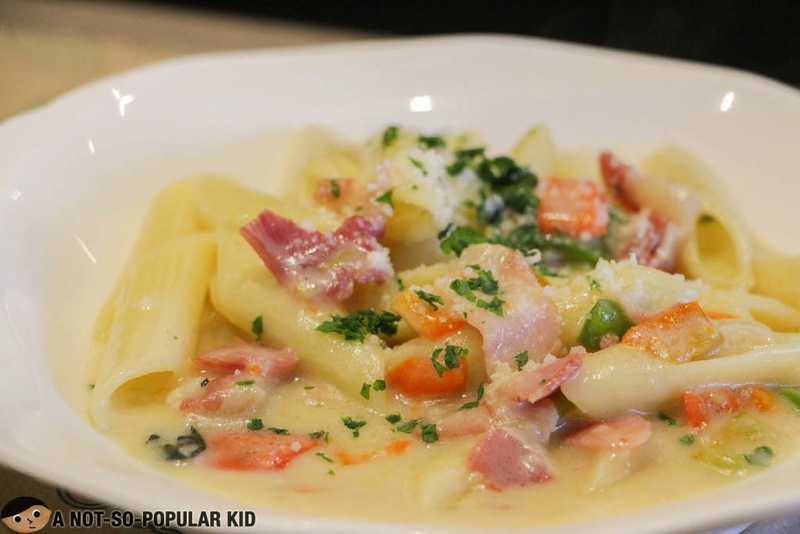 This is why I got a little unhappy with the carbonara served to me for this particular dining experience, because it lacked the zing I am well-acquainted with. 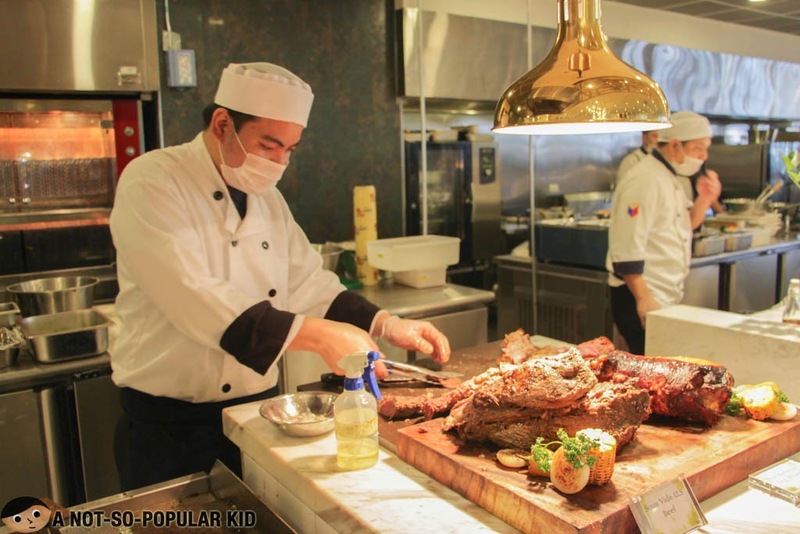 Vikings is most famous with its generous carving station! 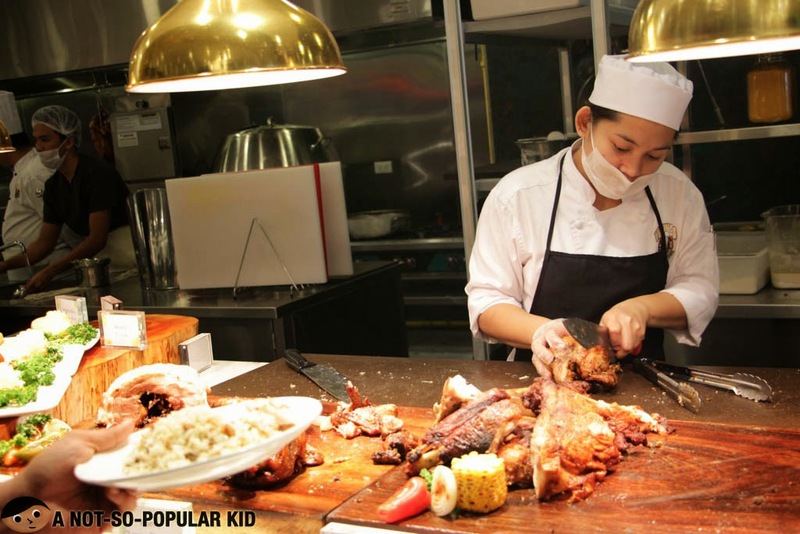 The Carving Station is one of those sections wherein Vikings is usually consistent with the goodness and tastiness. 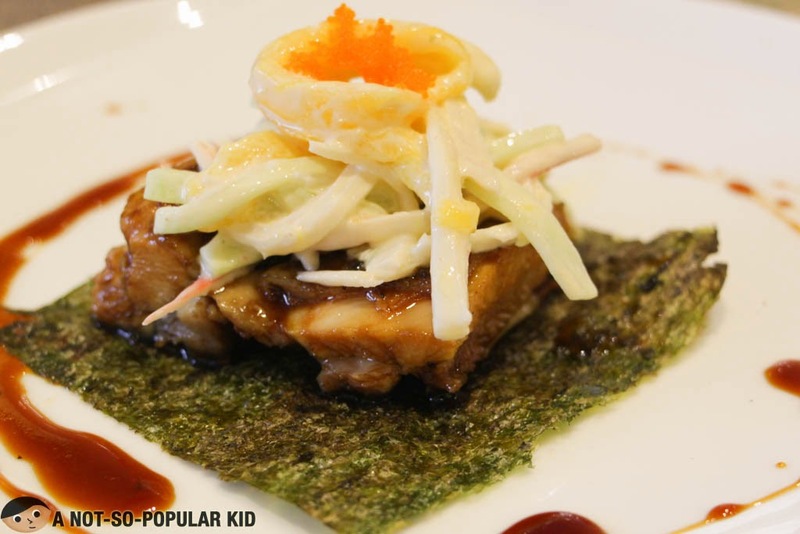 There are usually five (5) meat to choose from: Lamb, US Angus Beef Belly, US Beef, Boneless Lechon, Turkey, but sometimes there are variations across branches. Now, let's proceed to some of the highlights I was able to note and experience myself here in this newest branch, Vikings SM BF Parañaque. Although this Chawan Mushi may not be excellent as compared to that of prime restaurants, it was certainly notable! In fact, in my personal evaluation, this Chawan Mushi of Vikings belongs to the top tier among those that I've tried. Well, yes it may have lacked some bountiful ingredient such as shrimps, mushrooms and etc, but I definitely enjoyed its silky texture and tastiness. 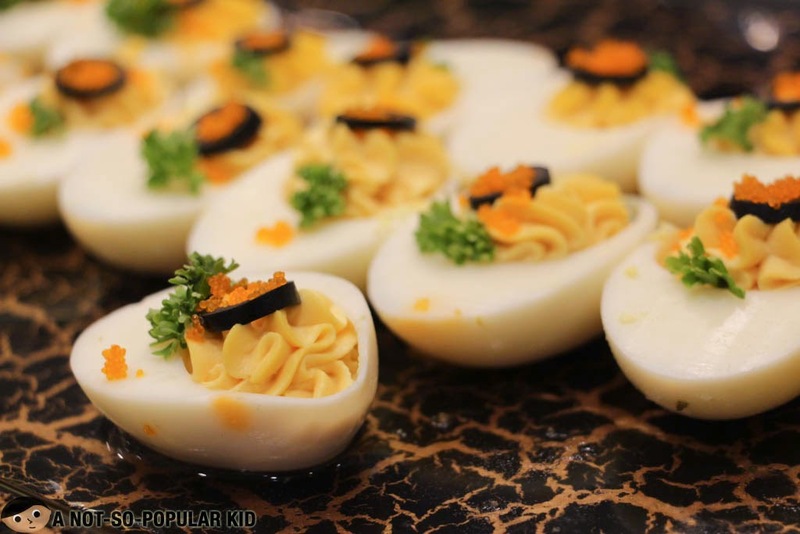 Upon seeing this dish on the buffet table, I told myself that I should not miss this one. However, I did. Anyway, this doesn't change the fact that I felt happy seeing this dish here in Vikings SM BF. 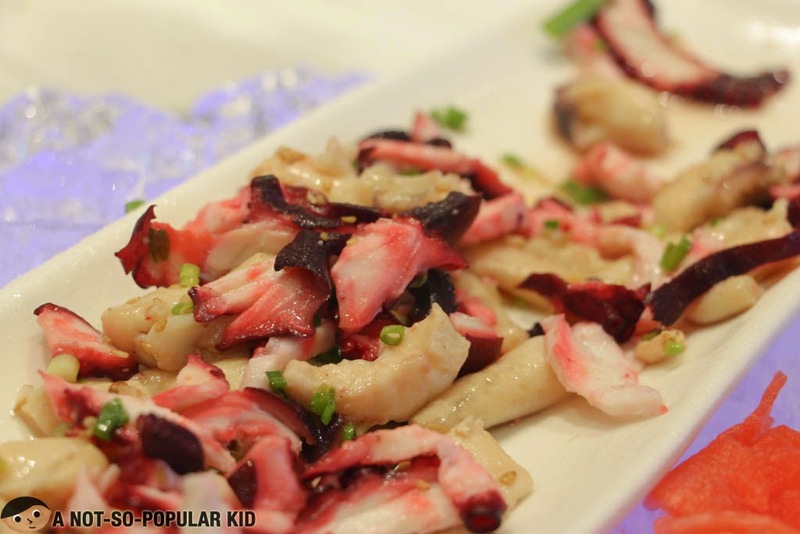 This Octopus Sashimi is uncommon for Vikings because not all branches feature this dish in its sashimi section. Without doubt, this is something to look forward to here in this branch. 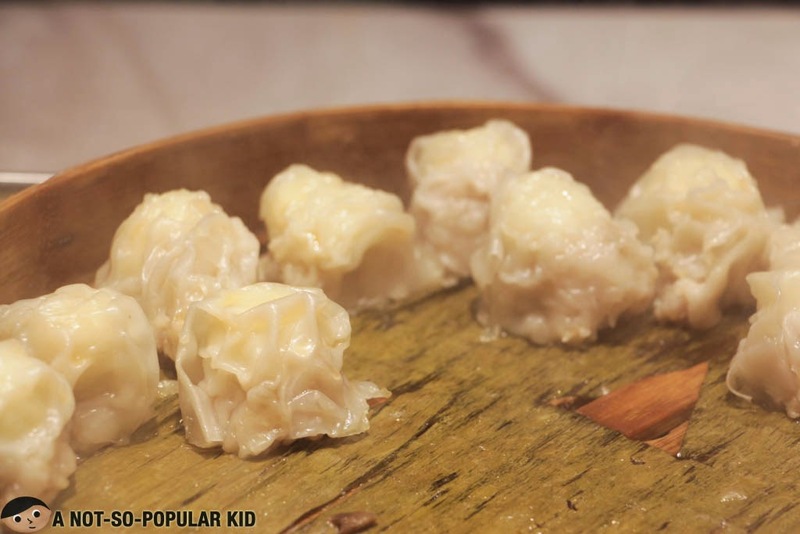 Another uncommon dish served here in SM BF branch is the Scallop Dumpling. Since it was something really new (and foodies were curious about it), it got all consumed up the moment I went to the Dimsum Station. I didn't expect that the pizza here in this branch would be extremely fine. In fact, if my memory serves me right, this is the branch wherein the pizza really got my attention! The Black Mamba was such a surprise with its tastiness that further lifted my already bubbly mood. 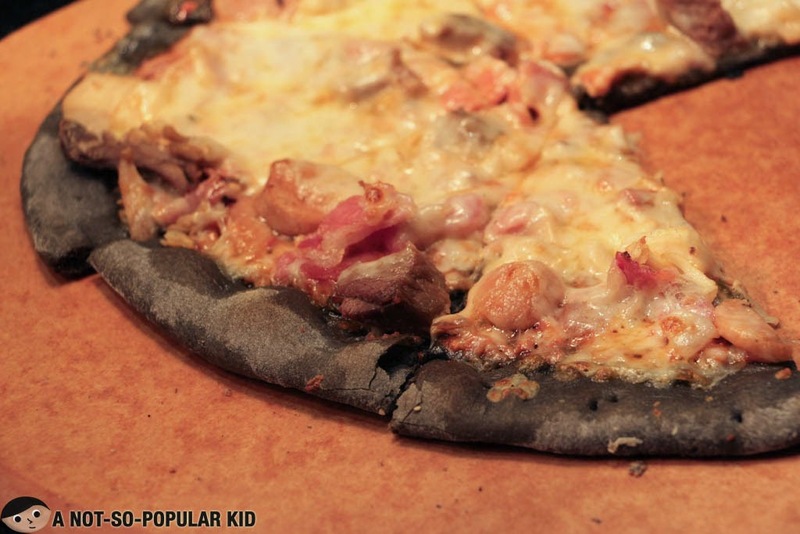 It was somehow close to a hawaiian pizza but a little different altogether. You shouldn't miss this one! 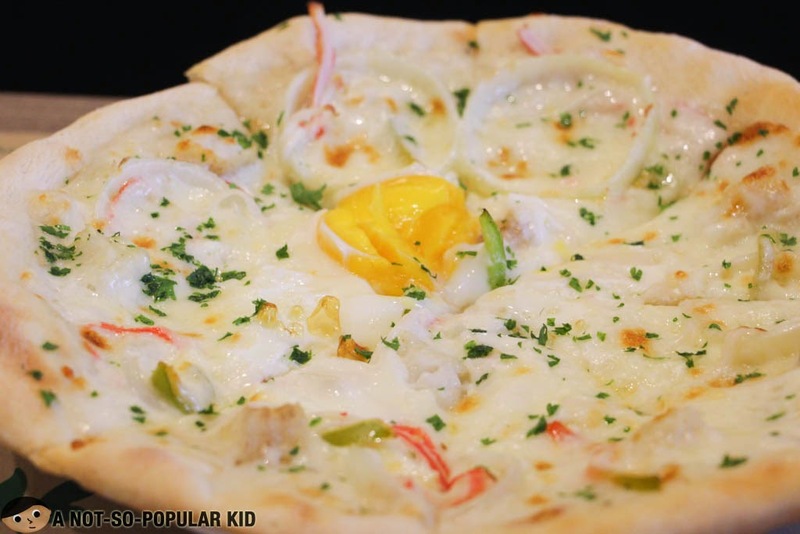 The visually appealing Carbonara Pizza had this equalized flavor of cheese and cream sauce that was extremely palatable (especially when it's freshly served). 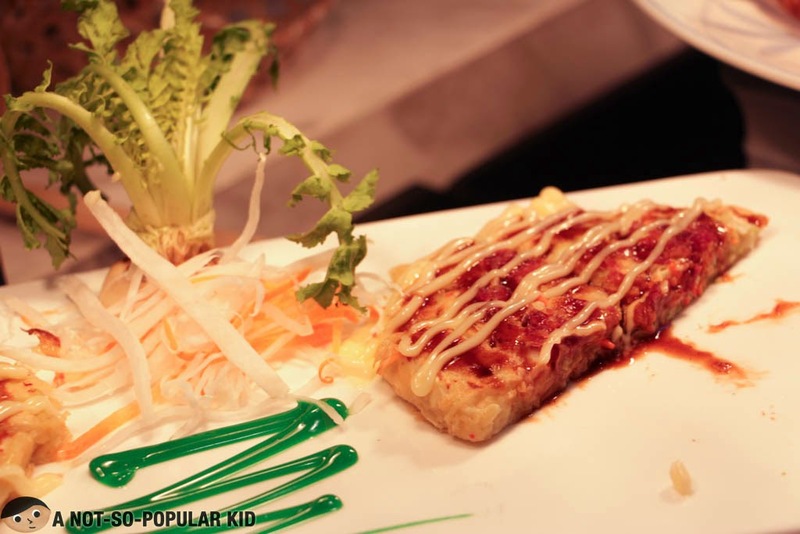 One interesting characteristic of dish was the egg on top which added a layer of softly balancing flavor. 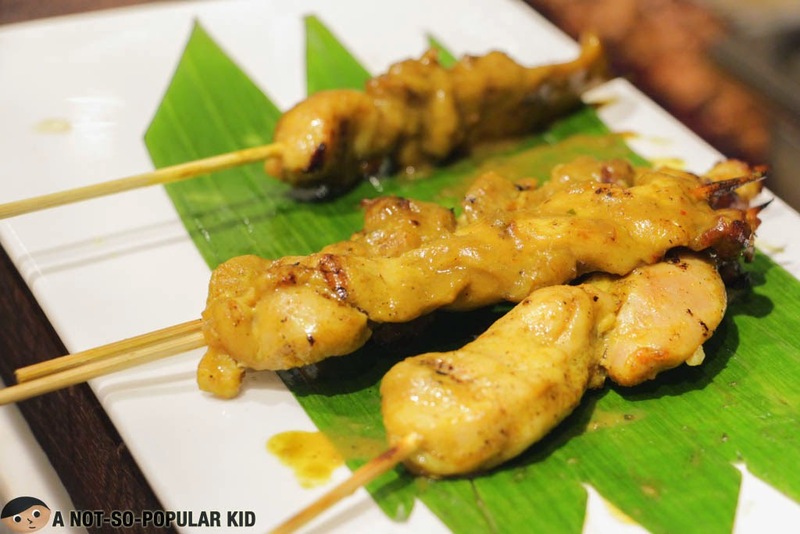 The interesting Chicken satay of Vikings! 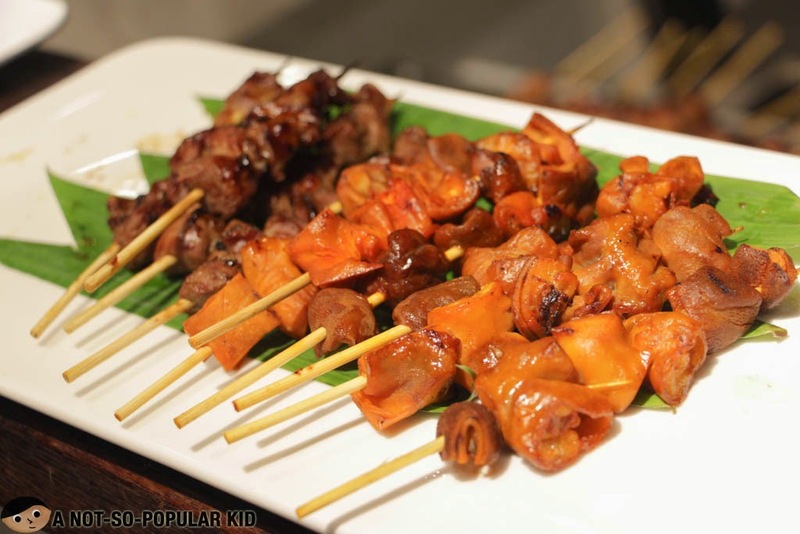 Just like the octopus sashimi and scallop dumpling, the skewers and barbecues are usually uncommon for a Vikings branch. Hence, I got excited upon finding out that this branch is serving them here. 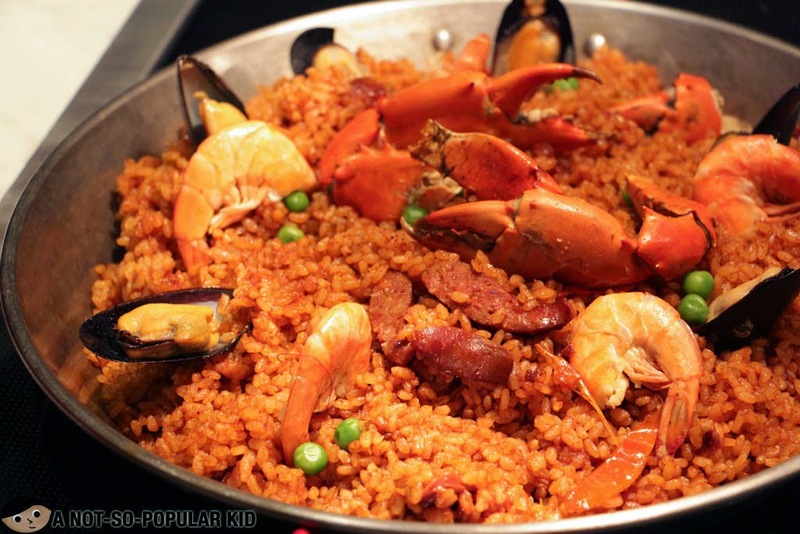 The Spanish-Filipino favorite - Paella! Even if I wasn't able to try this one personally (because I reserved my appetite for other dishes), I am guessing that this one tastes good. Also, I was informed that the Spanish-Filipino dishes found here in Vikings SM BF is something to look forward to. One interesting dessert found here in SM BF is the Pavlova. It's a meringue-based Russian delicacy but made delicate and bite-sized by Vikings. Due to this quality, it melts easily once you pop it in your mouth, and the fruity berry sweetness unravels. 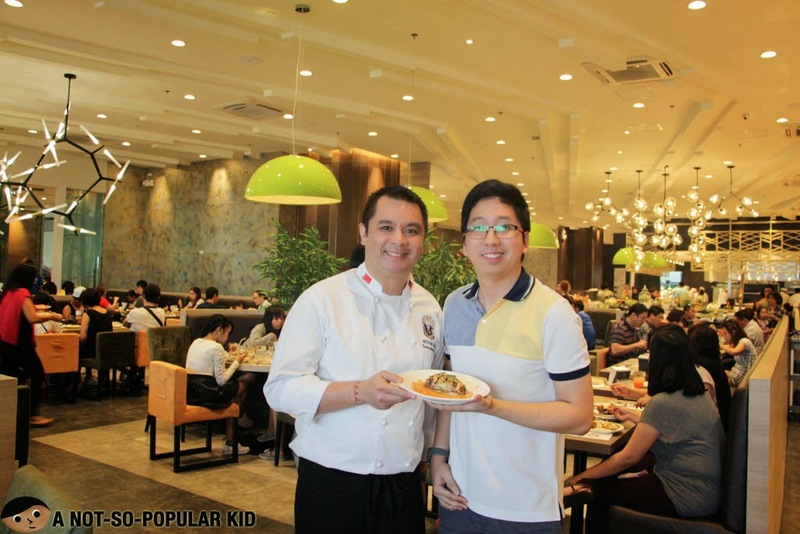 During my dining experience here in Vikings, I got to meet the newly promoted Corporate Executive Chef -- Chef Anton! Also, he showcased to me his cooking prowess with these specially crafted dishes. 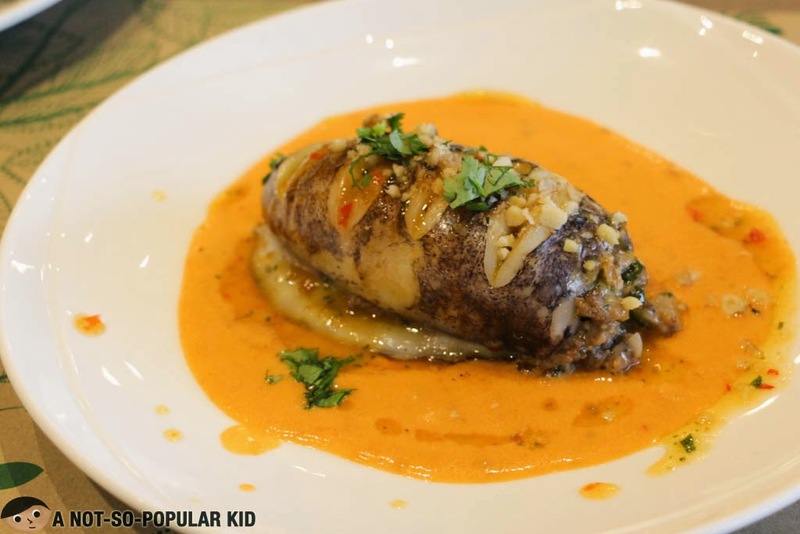 Since I really enjoyed the dishes, more particularly the Teriyaki Chicken, I felt like it was necessary for me to go fan-mode with Chef Anton, so here's a snapshot of Chef and I with his specially crafted Stuffed Squid! I was really surprised by the thrilling food variety here in Vikings SM BF Parañaque. 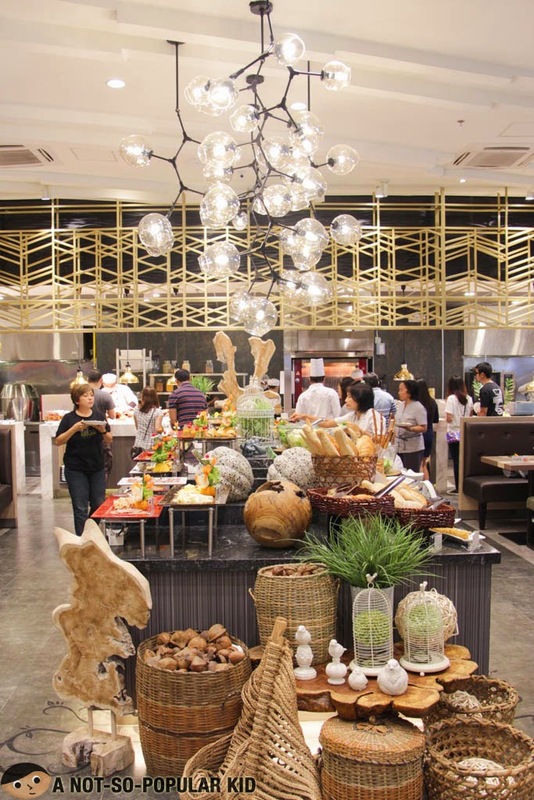 There were quite a handful of dishes that are not too common to find in other branches! 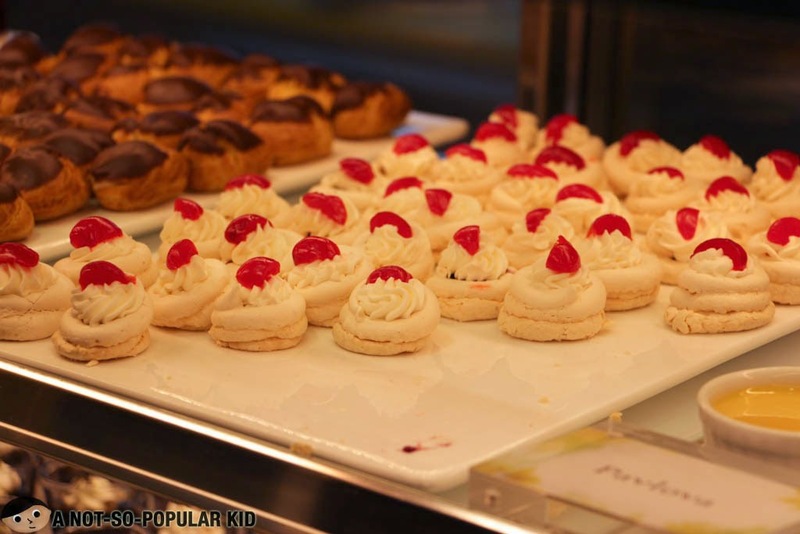 The good news is, despite having such selections, our old-time favorites are still ready to be found here. All of these make this place really interesting. 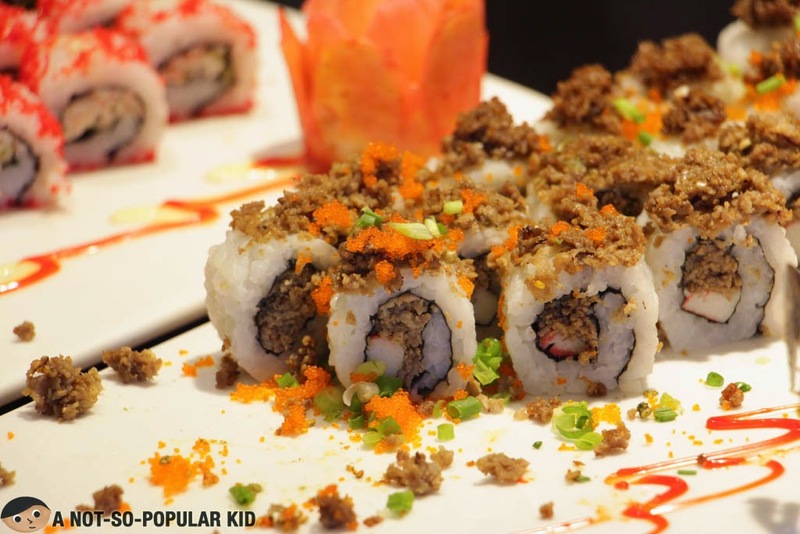 Hence, if you want to explore a little something different, why not try branch hopping here in Vikings SM BF Parañaque?